Gov. Ricketts to Legislature: "Don't Tax Working Families Out of House and Home!" Gov. 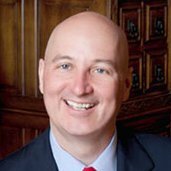 Ricketts Decries Proposed Food, Bottled Water Taxes as "Reverse Robin Hood"
Pete Ricketts has failed the 2018 Political Courage Test. Gov. Ricketts Hails News of U.S.-Japan Trade Negotiations as "Big Growth Opportunity"